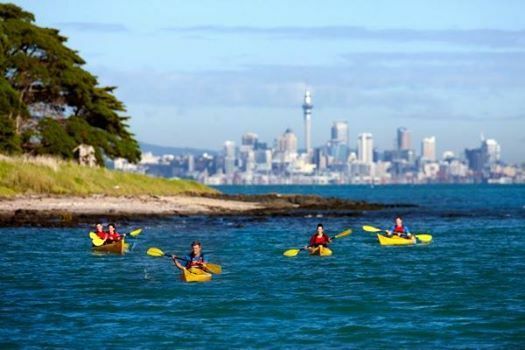 Join us as we kayak the beautiful Hauraki Gulf, stopping off to explore and to stay on different islands as we go. We leave from St Heliers heading for Motuihe Island, stopping off at Browns Island on the way. We camp the first night at Motuihe Island, the second night at Home Bay on Motutapu Island and on the third day we stop off on Rangitoto Island, climb to the top before heading back to St Heliers. Hopefully we'll be able to also kayak around Rakino Island and the Noises. This is a truly special adventure - if you enjoy kayaking then you'll love it! Price $785.00 includes: kayak hire and guide for 3 days, all kayaking equipment including spray skirts, dri bags, thermal tops, waterproof jackets, all camping equipment except for a sleeping bag, all meals and all campsite fees. Email me ZGViYmllIHwgd29tZW5zYWR2ZW50dXJlc256ICEgY29t for a detailed itinerary. 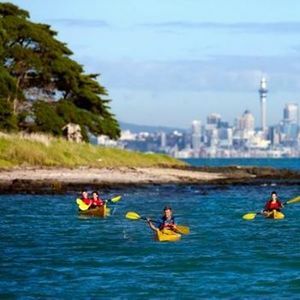 Please note: this adventure replaces the Waiheke 3 Day Kayak on the same dates as the kayak company could no longer operate their transfer vehicle over this season.